Camden, North London: A tangled, mangled junction of train lines, roads, and waterways. Where minor celebrities hang out with minor criminals and where tourists and moody teenagers mingle. In the heart of Camden, where rail meets road meets leyline, you might find the Arcana Emporium, run by one Alex Verus. He won't sell you a wand or mix you a potion, but if you know what you're looking for, he might just be able to help. That's if he's not too busy avoiding his would-be apprentice, foiling the Dark, outwitting the Light, and investigating a mysterious relic that has just turned up at the British Museum. Fated is the first book in a major new series starring probability mage Alex Verus, for fans of Jim Butcher and Ben Aaronovitch. ©2012 Benedict Jacka (P)2013 Tantor Media Inc. I enjoyed Fated. It's a good solid story with some action, character and a good (if somewhat too measured IMO) narration. I was looking for something similar to Rivers of London, but that was silly of me. Same genre... not the same tone. I wasn’t sure what to expect from this book, but it grew on me over the course of the telling. 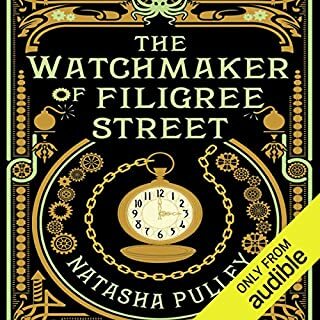 Set in modern day London in an alternate, secret and parallel magical community it is full of interesting characters and action. I found that the beginning was a slow burn as the main characters and their world was opened to the listener. The pace and the twists pick up after this establishment phase. Alex Vruus is happily running his magic shop when a friend brings him a relic to him which has strange properties. This item is the catalyst for marking them targets of a few factions in the magical community, none of whom are friendly. Alex’s talent, of forseeing the many possibilities of any action, is needed to keep them alive and to solve a centuries old problem. This story is well read and very pleasant to listen to. Absolutely loved Alex, Luna and Starbreeze. The story was fast paced from the first chapter. Hated the pompous narrator who reminded me of those voices that did documentrys in the 70's. At first I was a bit put off when I realised that when the story referred to a girl, it wasn't actually a child but rather a 22 year-old woman. But then things move beyond casual sexism to kind of creepy. Like when the main character decides that he has to assault and abduct a woman (sorry I mean 22 year old girl) because she's too stupid to know what's good for her. Besides being rapey, the main character is not exactly likeable so far, he has an unfortunate combination of feeling constantly hard done by while always needing to be right. The book so far kind of feels like a conversation with some pompous prat in a pub who tries to pick you up by lecturing you about the finer points of Deleuze. Not sure I can make it through. Interesting listen, but I struggled to get into it. 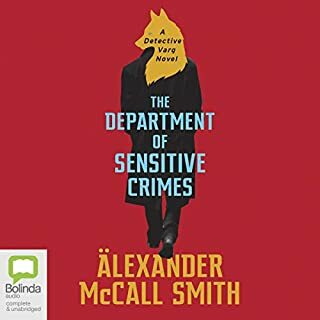 I disliked the narrator's female voices, and I found Alex to be aloof and unsympathetic. Normally I love a hero with a hint of moral ambiguity and maybe he'd grow on me in later books, but I'm bowing out for now. 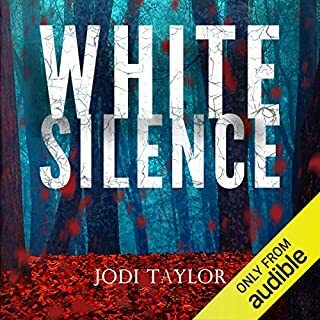 I came across this book/reading by accident on the audible website and I thoroughly enjoyed the audiobook. 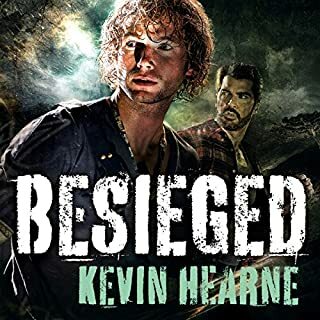 I enjoyed the nature of the main character who deals with magic without the endless psychological self examination of Harry Dresden. 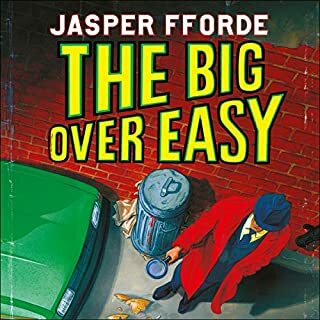 Whilst there are a number of books in this genre I thought the author showed a great imagination in creating and populating his alternate world. I thought there were elements of Neil Gaimans Neverwherein the book. I also enjoyed the world weary voice of the presenter, I think he gave Alex Verus a complex personality which suited the text. 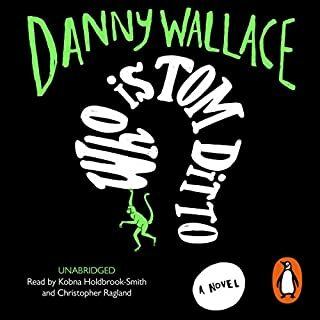 Good audiobook. It was a nice, relaxing fantasy. The plot was interesting and the approach on magic quite new. I saw that many persons have criticized the narrator. I almost did not get the book because of this - a bad narrator can really ruin a book. Well, after listening, in my opinion, the narrator is excellent. He can transmit quite well the characters and their feelings. He is not speaking too slow and he articulates clearly with a good intonation. Some say he does not convey a lot of emotion. He conveys some emotion but this book is not Shakespeare. I do not think he should transmit a lot of emotion. I think that his approach on the main character (a bit aloof, ironic, with dry humor) is just what the author intended. Well that was a great first book in a series. Would you listen to Fated again? Why? I am coming back to this series and this book again. tore through this book and grab the next one. I am sure I miss bit of coolness in the overall awesome. Alex is the focus and at this point it must be him. Luna has promise and I wonder where that will go. The fight on the roof. So elegant in writing. 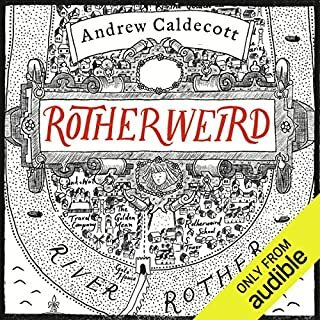 Loved the book but was very disappointed with the narration, the fake Shakespearean English accent given the main character completely discredited the performance and was not at all compatible with the authors' character who is living in today's London, not the Middle ages. As a result I was not able to enjoy the audiobook. I will read the rest of the series on my Kindle. very well written and well read. I was pleasantly surprised by how good a story it was after reading some of the reviews. 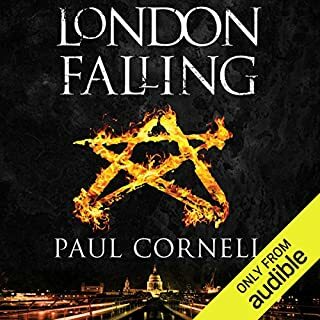 while not being as London has the Rivers of London and as funny like the Iron Druid and Dresden Files. A very good book, will try the others in the series. 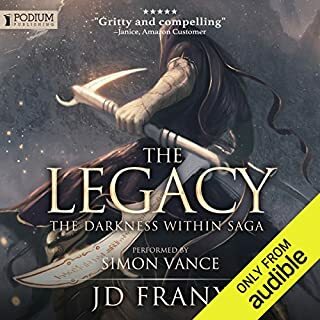 Pros: great story, brilliantly written, lots of imagination, made me want to listen to the whole thing in one sitting, Patricia Briggs and Jim Butcher rec this one, I'd listen to it again and have requested the series which I'm told gets even better also, unusually for this kind of genre, there are several really well written female side characters. 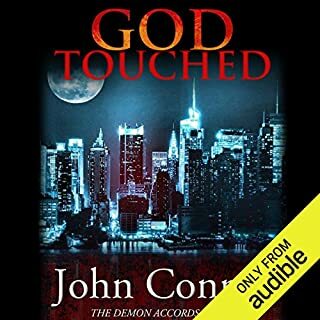 Cons I spent the first twenty minutes in complete frustration because the initial plot feels like a massive rip off of the Dresden Files (it soon moves away from that, keep listening as the seer aspect is really interesting) and that also led to the comparison of the narrator with James Masters and really the best you can hope for is a draw with that kind of competition. After I'd listened for a while I decided that I really liked Gilbert Jackson. I would happily buy books with Jackson as a narrator again but you need to listen to a sample for yourself as some people were very unhappy. 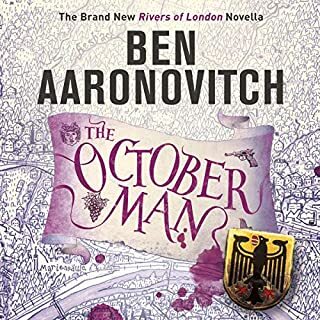 I have just finished listening to the PC Peter Grant series by Ben Aranovitch which I thought was great and was looking around for something new. 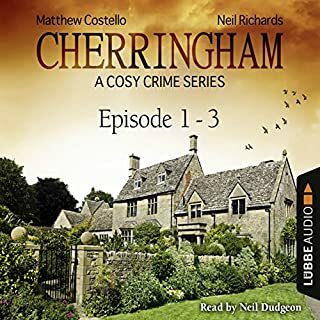 This is quite different to what I would normally listen to but the characters grew on me quickly, the narration was excellent and I found myself really looking forward to finding out what happened next. Will definitely be buying the next in the series. Where does Fated rank among all the audiobooks you’ve listened to so far? Interesting concepts, good story, engaging characters, top notch narration. The story flows well and draws you in to the world. Naturally there are some bumps in the road of the plot, but this is fantasy after all. 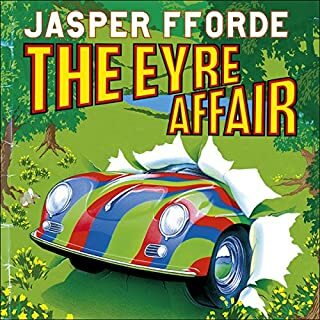 This series promises to be a great respite from my real world that is really quite a long way from the London in the story. Just what is required when I can grab a few minutes. What was one of the most memorable moments of Fated? As a paid up arachnophobe I really felt quite drawn to this character, which was surprising. I will say no more. Good pace and characterisations. The female characters were identifiable as such but the voices were not a pastiche. 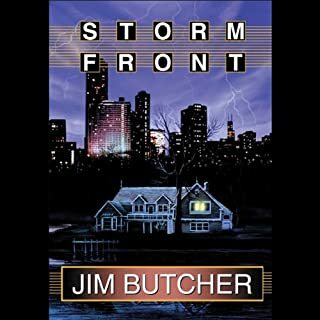 If you enjoy the Dresden files, you'll enjoy Alex Versus. An English mage who isn't quite in favour with either side and through Skill, luck and sheer determinedness gets things done. Wonderful additional to the moden magical genre. You can't help but like him. 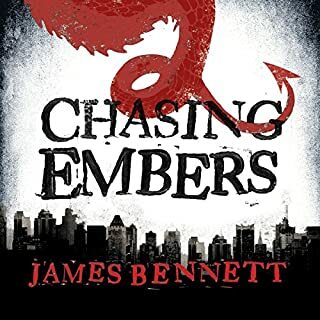 I was recommended this as a fan of Ben Aaronovitch's Rivers of London books and Jim Butcher's Dresden Files and I was in such hope of a new series. Such a disappointment. The plot is thin, the characters are two dimensional, the writing is really bad and the dialogue is just dire. 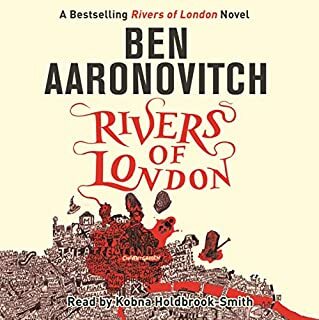 To compare it to Aaronovitch is to insult Ben. It feels like a teenage girl writing in her bedroom and is on a level with Twilight and 50 Shades (badly written drivel by the barely literate). I got to the end somehow (it had to get better, surely?) but there were a lot of derisive snorts and phone thrown down in exasperation. If I could have slapped the drippy female character I would have done. The narrator did his best but he was too old really which didn't help. There are plenty of good reviews so it's obviously popular stuff but I wish I'd read a few of the bad ones and saved myself some time. I've given it back, which is the ultimate bad review after all. I gave this a try thinking it might be in the same mould as ben aaronovitch. There is no humour, story line is predictable, characters are rubbish and the fact it is set in Camden has no bearing on the story whatsoever. I would listen to Fated again, the story is engrossing and flows quickly. The characters are well developed and the relationships realistic. The trip to elsewhere. It was enlightening as to Verus's decision making and attitudes - and just a little creepy. What three words best describe Gilbert Jackson’s performance? Robotic, stilted and old (older than the character). Benedict Jacka's mage's London is dark and unnerving, Verus lives on the edge of 2 worlds and doesn't seem keen on being in either. There is none of the traditional good and bad; the individual dark and light mages appear to differ only in name of faction and the ability to co-operate with each other. Verus is neither cloyingly heroic or pathetically redemptive. 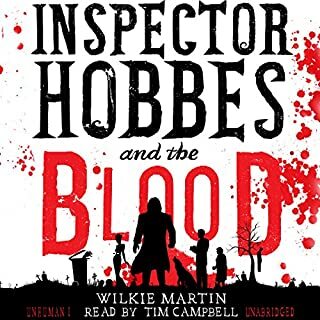 Sadly the narrator is not James Marsters nor Kobna Holdbrook-Smith; while his narration is adequate he fails to make you believe it is the character speaking as Marsters and Holdbrook-Smith do. 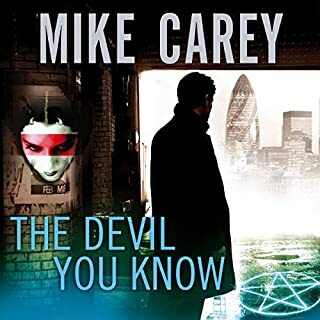 In short, if you enjoy The Dresden Files and/or the Pc Grant series, give this a try. Good story, weak writing and robotic narration. 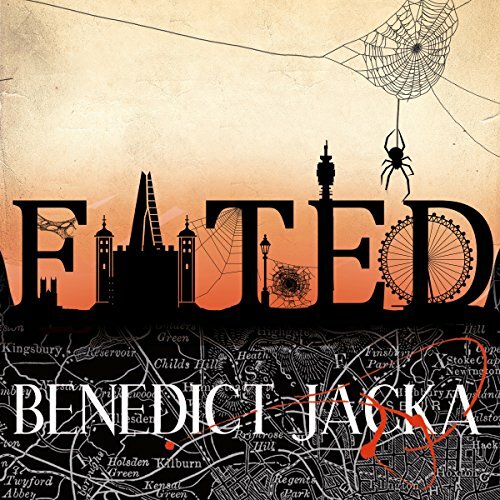 Would you try another book written by Benedict Jacka or narrated by Gilbert Jackson? Yes. The writing is a bit clumsy but the characterisation is wonderful and the world he's created is intriguing. The narration of the main character was okay as Gilbert Jackson has a pleasant voice but it's a little robotic in places. He makes all the secondary characters incredibly robotic though and the women all sound like complete morons. Do you think Fated needs a follow-up book? Why or why not? Yes I'd love to see where the characters go and learn more about the world. What's with all the Americanisms? It's written by a British author and set in London. It's full of words like gotten, sidewalk ect. Very jarring. A bit predictable but still engaging and fun. Good magic context.